Newswire services are big business and are used by companies and PR agencies to spread news stories to journalists/bloggers and online. These services often make much of the size of their journalist databases and offer their ability to reach these journalists as a key selling point. We regularly use newswires and believe that we understand benefits of some of the more common ones, but we wanted to get a journalist’s perspective, so we surveyed 80 UK journalists to get their perspective on press release distribution via newswires. We wanted to know which press release distribution services they actually found useful and what they used them for. Relevance is a major issue: many journalists (as one of our respondents put it) do not want to wade through newswires that are “…clogged with crap and/or investor relations type communications.” However, in some sectors, focused newswire services are clearly valuable (automotive seems to be one of these areas). Firstly, to clarify, when we say newswires we mean press release feeds or press release distribution services – these terms are often used interchangeably and, as one of our respondents pointed out, there’s a clear distinction between services such as Reuters, PA and Bloomberg (which carry original articles by journalists) and press release feeds. We surveyed 80 journalists from our own contact lists across a variety of industries, but as we are a technology PR agency, we didn’t include industries that we don’t target, such as fashion and property. Our survey targets did include consumer and business tech, marketing, cleantech, ecommerce/retail and the automotive sectors and we think these results are applicable across the board. How often do you use newswires? Which newswires are the most valuable? What do you use newswires for? What do you prefer newswires do for you? Onto the results of the survey. How often do journalists use newswires? 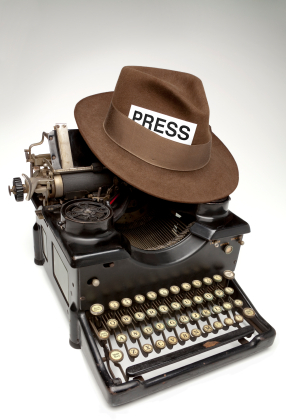 54% found that PR Newswire was the most valuable newswire followed by PA (38%), SourceWire (37%) and Businesswire (34%). Although PA (Press Association) provides news stories written by journalists, it also allows companies and PR agencies to pay for release distribution.The PR Newswire positioning also reflects our unofficial ranking in our mini-review of paid press release distribution services. Newswires specific to particular verticals were also mentioned by individual journalists NewsPress (automotive), Headline Auto (automotive), Gamespress and Technology4Media. Based upon the comments we received, journalists indicated (perhaps unsurprisingly) that industry-specific services tend to be more valuable. 78% use them for news stories, while 56% use wires for article and feature ideas and 56% for monitoring industry trends. “As a subeditor I mainly check wires when fact checking articles for the website. It’s not a huge necessity for me to check them for feature ideas. I suppose the most important factors for me when using wires are an easy search function and quick accessibility. We asked if journalists would like press releases direct to their inbox, a link to a place to visit, or to be left alone by the wire services. Most respondents wanted a place to visit to access releases and news, this preference was just ahead at 37% while 33% wanted targeting emails to their inbox (8% didn’t want anything from the wire services). Journalists working on national publications expressed a strong preference for having a place to visit (88%). Should you use newswires to reach journalists? Journalists do use wires, but it seems that they are used more for checking facts than picking up new stories. We believe that the best way to target a journalist is to follow them, understand what they write about, pitch a story to them exclusively and provide them with good content. While wires offer the ability to provide additional information the feedback from our respondents is that (on the whole) newswires need to find a way to help cut through the volume of less valuable releases. Of course this post wouldn’t have been possible without the generous help of the journalists who took part in the survey – a big thank you to you all. Finally, if you found this research interesting or useful, please share it, the like and tweet buttons are at the top of the page.